NEW FOR 2018/2019! Online registration: will be available from October 27 to November 17, 2018. Open House: If you are new to our program and Club, come and see us at our open house at the indoor range on Saturday, November 3rd from 10:00 AM till Noon. We have previously accepted some archers into the program who are younger than ten years old. If your young archer is less than 10 years old and you would like to see if we might still be able to accommodate them in our second class, come to the open house and we can see if your archer can handle our equipment and whether or not they are able to participate effectively in our program. 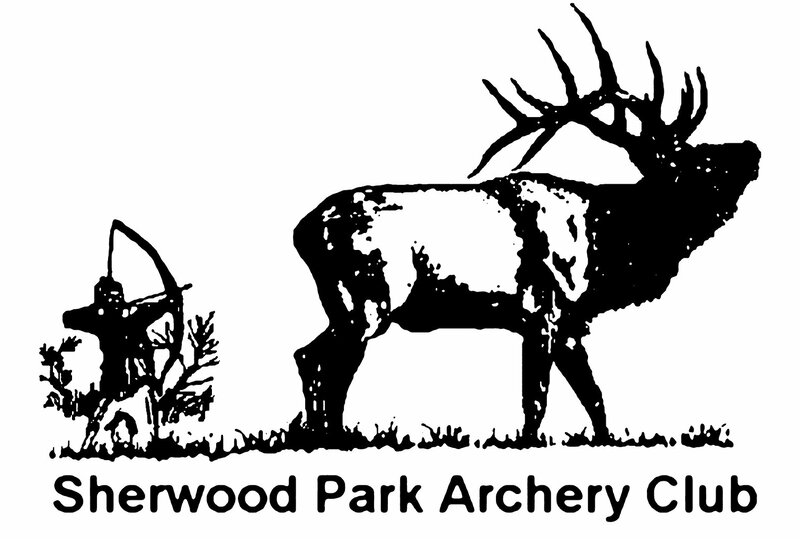 The Sherwood Park Archery Club Junior Archery Program offers archers (from 10 to 21 years of age) an opportunity to develop and improve their shooting skills and knowledge. The Program provides instruction and coaching for all levels of young archers and consists of indoor and outdoor classes between November and June. The program also includes archery events to provide Junior Archers with competitive target and 3D experience plus some fun archery events. 11:00 – 12:15 pm Late Class (Novice & Early Intermediate). Please arrive 10 minutes prior to your class, and immediately proceed to the back of the shooting range and begin setting up your bow. At 10:30 things can be a bit chaotic as one class ends and another begins, so please proceed to set up or take down your bow quickly to allow everyone the maximum amount of instructional time possible. If at any time you require help setting up or taking down your bow or adjusting any of your equipment, just approach one of the coaches and they will be pleased to assist you. The first class is dedicated for more advanced intermediate archers and advanced/competitive archers (some of whom stay to help coach our second class). The second (later) class is mainly for beginners and early intermediate level archers. This second class is more focused on developing a solid basic form and technique. Every year we are very fortunate to have dedicated and enthusiastic individuals (including Nationally Certified Coaches) willing to volunteer with our Juniors Program. However, we are always looking for more volunteers to help coach our Juniors. More coaches helping out in each class means our Juniors get even more help and make even greater gains in skills and knowledge over the course of the program each year. Anyone can volunteer and no one will be turned back. If volunteers are interested, we will even cover the course fee if they want to take a coaching certification course in return for them agreeing to coach with our program. Parents please don’t just drop your child off and leave, especially if your archer is under the age of 12. Please be prepared to stay for the lessons. If, on a rare occasion, you are unable to stay or need to leave for some reason, please speak to your child’s’ coach. The club has a limited number of recurve bows that we will make available for a limited time. There is no additional charge for the use of this equipment but archers should realize that they may have to share this equipment with another archer. There are a number of local archery stores with staff that will be pleased to help with the purchase of appropriate new equipment. These include; Wyld Archery, Jim Bows Archery, Trophy Book Archery, and Cabela’s. As our juniors grow each year, you may also be able to find one of our own members with used equipment for sale that might meet your needs too. New archers may borrow arrows from the Club until the end of December 2018. In January of 2019, all archers will need at least 6 arrows of their own for the remainder of the program. Arrows are sized to the individual archer and may be purchased at any of the stores noted in #2 above. The Junior Archery Program follows the CanBow Archery Skills Awards Program as set out by the Federation of Canadian Archers (FCA). CanBow offers young archers an opportunity to improve their shooting skills and knowledge. Within the Junior Program the Archers will earn badges as their skills improve. Once the Archer has mastered the basic skills we will have the archer begin to shoot scored rounds. Each score will consist of 30 arrows shot in 10 ends of 3 arrows. For an Archer to earn a badge they must demonstrate certain archery proficiencies and knowledge and in addition must shoot two scores at or above the level required for each badge. Scores must be shot in the Saturday classes or on club night or at a registered shoot. If an Archer attains a score of their next level at a registered FITA (tournament) only one score will be required for them to earn that level of badge. The CanBow Program incorporates 3 target sizes (80cm, 60cm, & 40cm) with the Archer working their way from the largest to the smallest target. Once a junior has earned all the badges for a particular size target they move onto the next smaller target. The badges earned by the Archers will be handed out on a regular basis during the year. Questions! You can direct your questions to any instructor. We will be pleased to answer them to the best of our abilities. www.fca.ca The Federation of Canadian Archers is the governing body for the sport of archery in Canada. www.ataa-org.ca/ Archery Alberta our primary provincial sport body. The focus of this organization is on target archery – indoor, outdoor, field, and 3D too. www.bowhunters.ca/ The Alberta Bowhunters Association (ABA) is the other provincial body in Alberta, and focuses on hunting and 3D archery. www.bowzone.ca Bowzone.ca – Canada’s largest bow hunting and archery web site.